As a Registered Dietitian, I spend a lot of time talking with clients about new food products on the market. Are they healthy? What brand do I recommend for cereal? How many grams of fiber should be in bread? And on and on <— Yeah, this pretty much confirms that I have the best.job.ever. While I am obviously a huge fan of whole, “unprocessed” foods, I am also realistic enough to know that convenience foods are great because they are, well… convenient. In a new series starting this month, I will be sharing with you my favorite food finds. I expect to put a little bit of everything in this space from favorite food products, new supplements, kitchen gadgets, and other finds that promote a healthy diet. Think of it as our monthly one-on-one conversation. You ask me which products I love most, I’ll respond. And repeat. The three products below are finds I loved most in July. I’m not sure why it took me so long to get on this bandwagon, but I finally get what all the fuss is about! 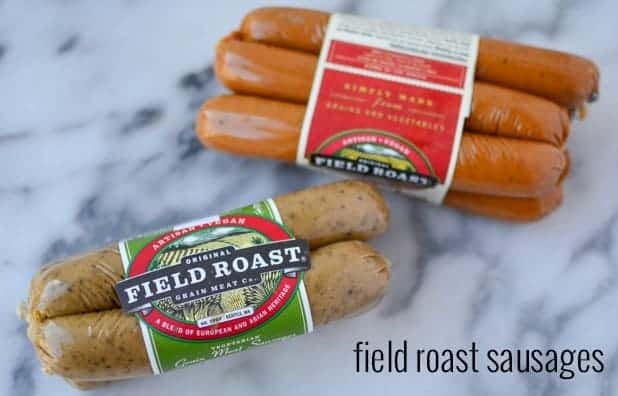 I want to shout my love for vegan field roast sausages from the rooftop! I bought these for our 4th of July cookout and have been going through about a package a week ever since. BL and I cannot get enough! While they come in various flavors (Chipotle, Italian, and Apple-Sage), we both prefer the apple sage kind best. They are fantastic grilled! My favorite meal this month has included these sausages along with grilled corn and fresh tomato salad. Summer simplicity at it’s finest. Oddly enough one of my favorite places to grab a beer in Sacramento has been selling these sausages ever since they opened. For the past few years, I’ve always thought they were hand made! Ha! I feel like I cracked a giant secret! Now I can enjoy these sausages at home- for a 1/4 of the price. I have only recently seen this spread in the grocery store, so I picked it up out of curiosity a few weeks ago. While I don’t do a ton of baking, I tend to use either coconut oil or Earth Balance baking sticks when I do. I have really been loving the flavor of coconut lately and glad I found this product! While I don’t know if I am going to be using this one really often, I like that it’s more stable than regular coconut oil. 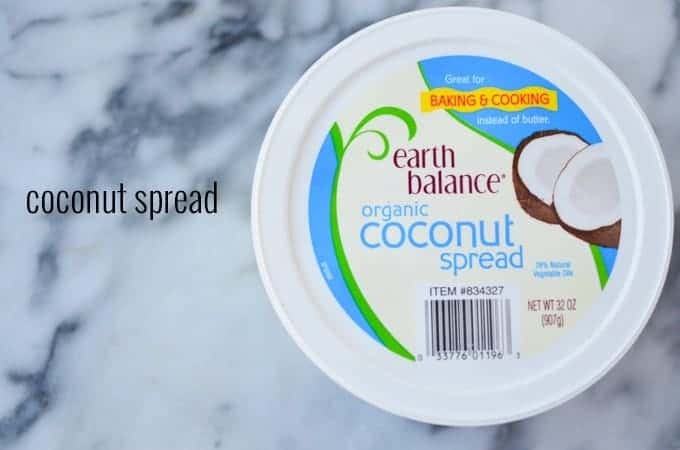 If you bake often, I highly recommend checking out this organic coconut spread. It’s also great in place of buttah. I love the combo of Ezekiel bread, this coconut spread and my blueberry-chia jam in the morning! I know this isn’t a food find and I debated including it but if I was going to be honest about what products I used most in July- this cookbook would top my list. If I had a genie and three wishes, I would use one of them to get everyone this book! I have a ton of vegan cookbooks. We’ve been over my obsession before, but I just keep coming back to this one. While all of the recipes I’ve tried have been delicious, I am most drawn to the fact that the book isn’t made for vegans. It’s not made for vegetarians. It’s made for everyone. 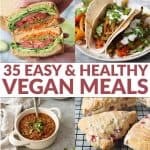 If you are trying to include more plant-based recipes in your diet, this is the BEST place to start. Well, um, besides this blog of course. It’s hands down my most used cookbook- and I’ve only had it for a few months! I’ve also been known to read it before I go to sleep. Seriously. It’s that good. Recipes I made in July: Lentil-Roni, Sesame Slaw with Garlicky Seitan, Ranch Salad with Potatoes and Chickpeas, Tabbouleh of the sea, and Island Black Bean Burgers. All swoon worthy and insanely delicious. And that’s it! My top three monthly food finds for July! 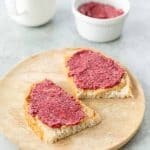 Any new food products I should know about? What do you think about this new series? Keep it or Toss it? Let me know in the comments below. Love the series! It’s always fun to find out what products/foods other people are using/eating. I have a major cookbook obsession too – I’ll have to check that one out. Thanks Dana! I’m glad you liked it!